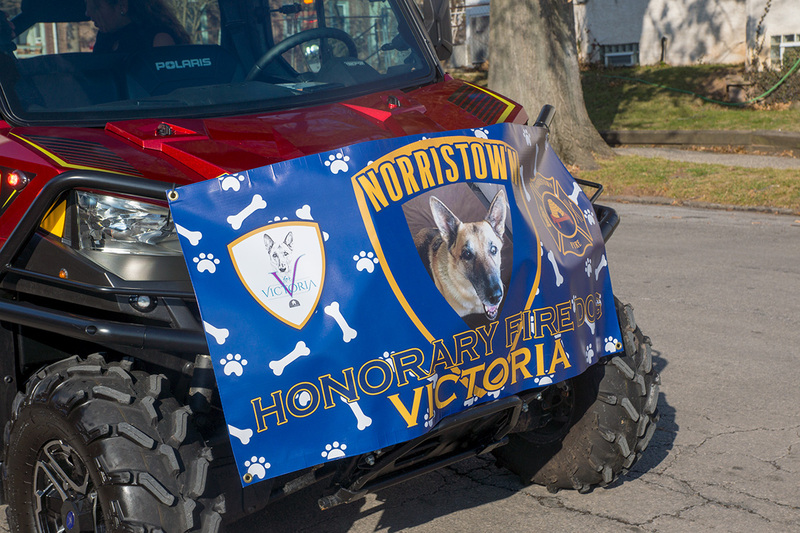 Many thanks to the Norristown Fire Department, Montgomery Hose. 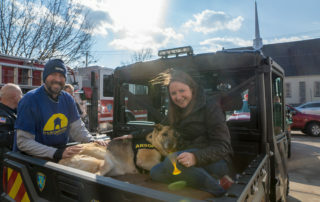 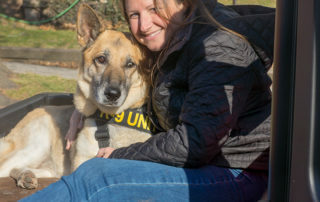 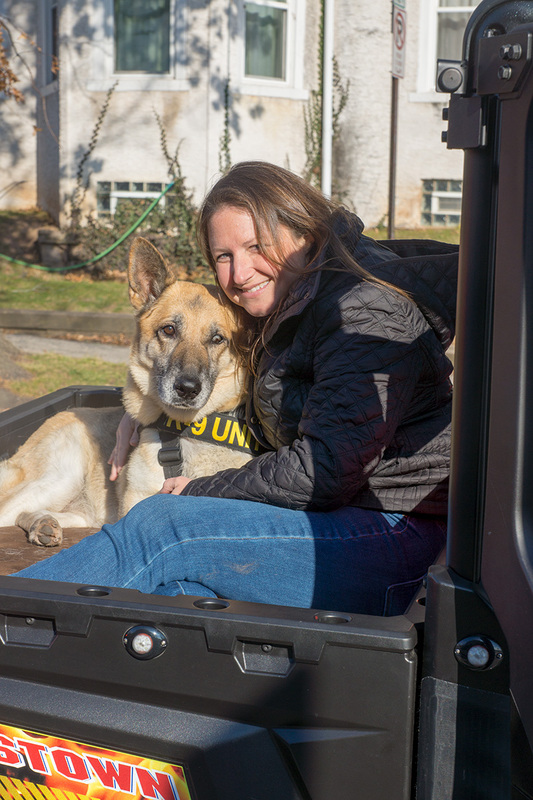 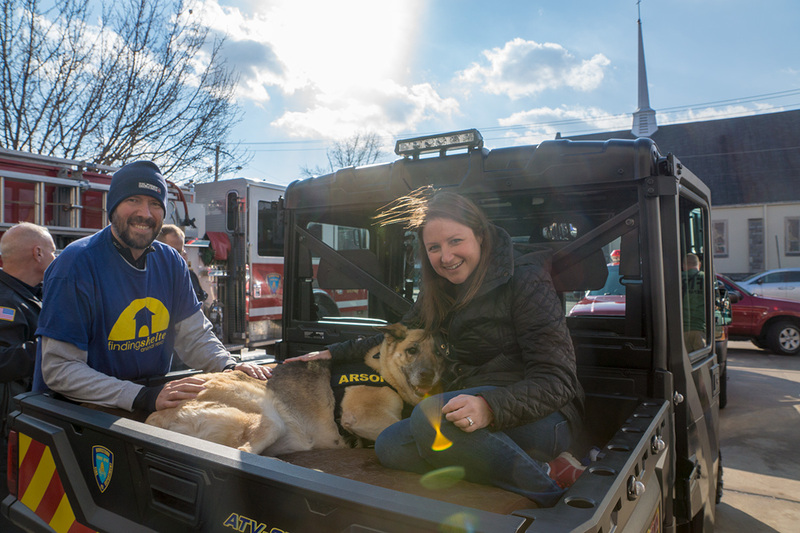 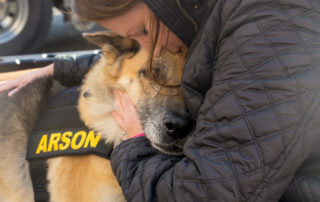 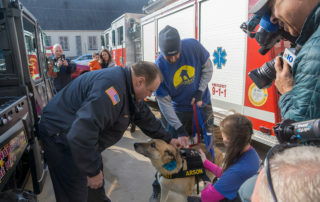 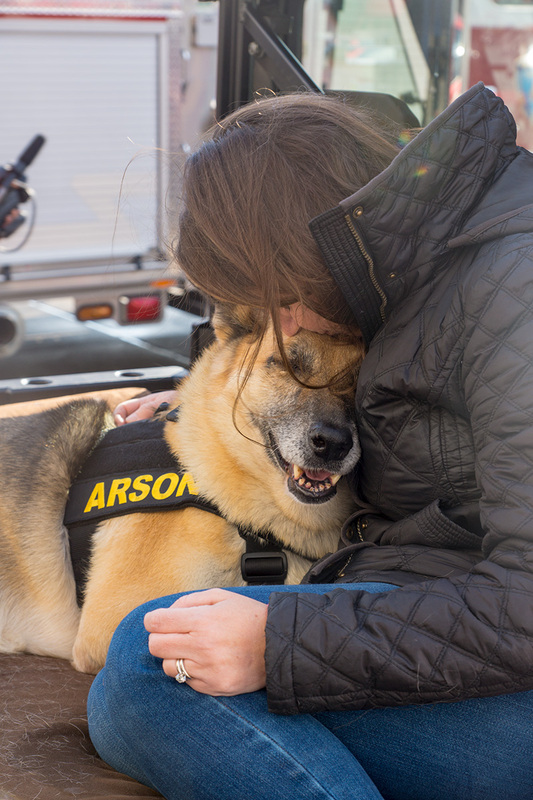 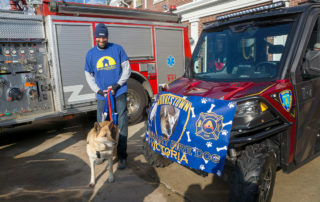 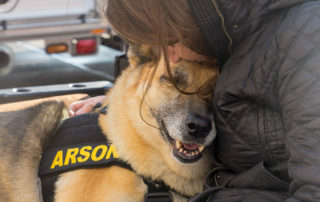 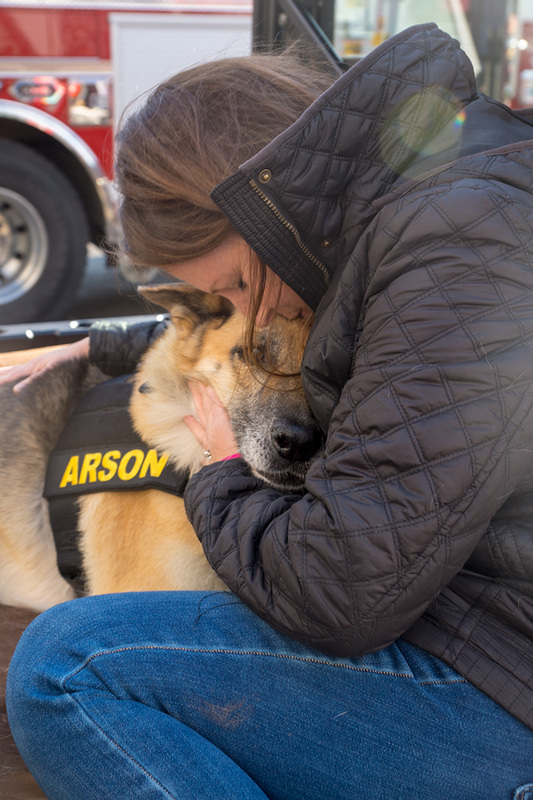 for making Victoria, our puppy mill survivor, hospice dog an honorary fire dog for a day! 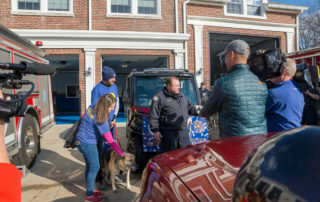 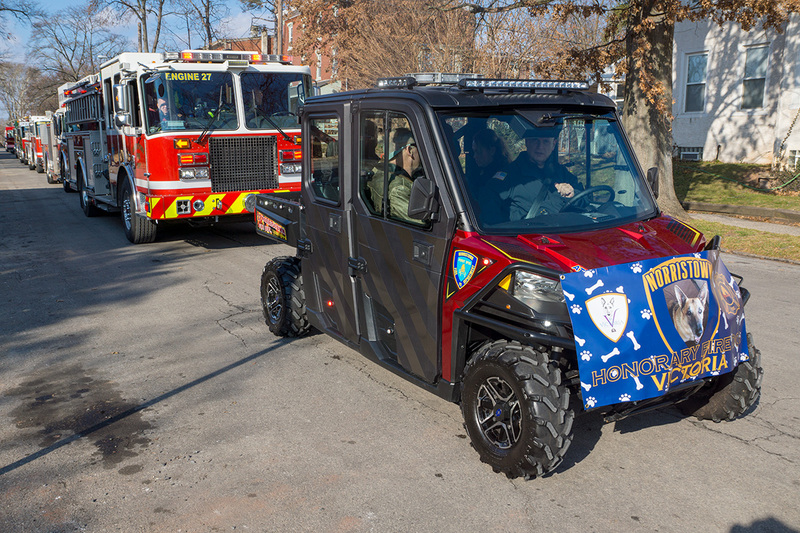 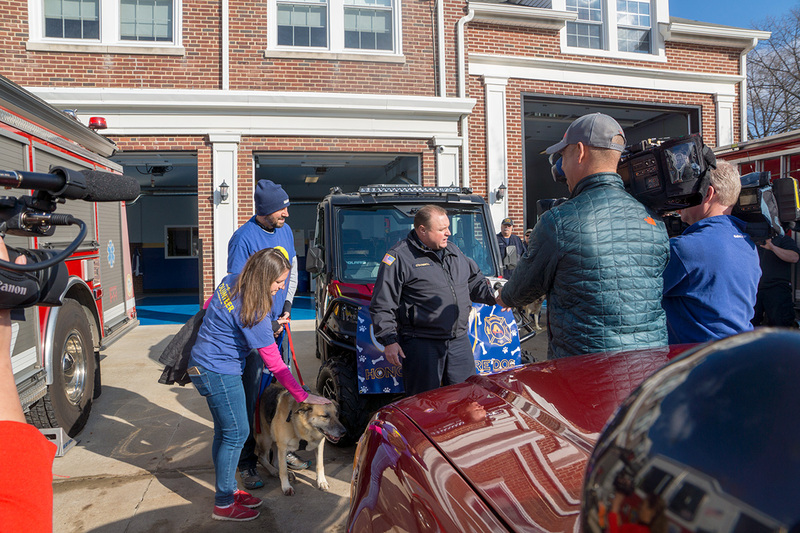 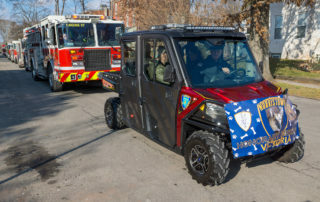 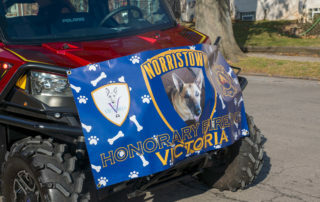 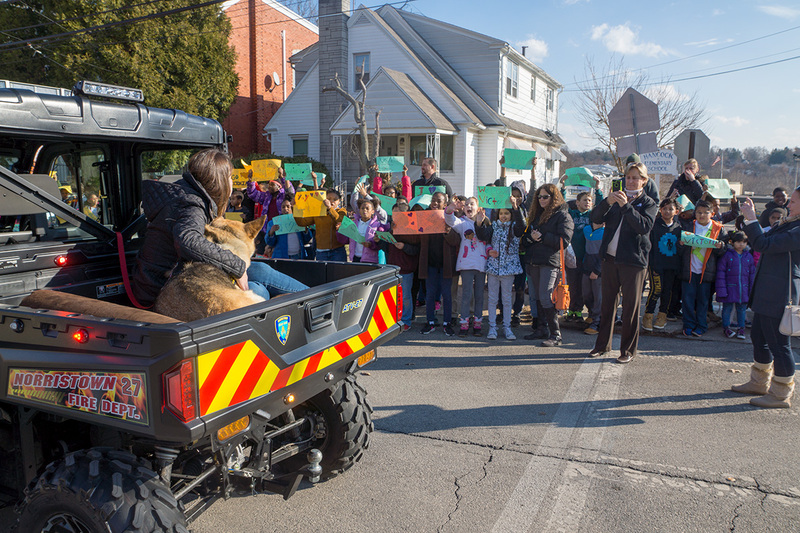 Victoria was welcomed by Fire Chief O’Donnell, firefighters from Norristown and other area fire houses, a personalized banner on a polaris that led the parade just for her through the streets of Norristown, PA. 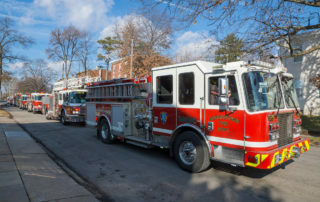 In addition to Norristown Fire Department, Montgomery Hose., engines from Gladwyne Volunteer Fire Company, Bridgeport Fire Department, Swedesburg Volunteer Fire Company (MONTCO 49), Conshohocken Fire Company No. 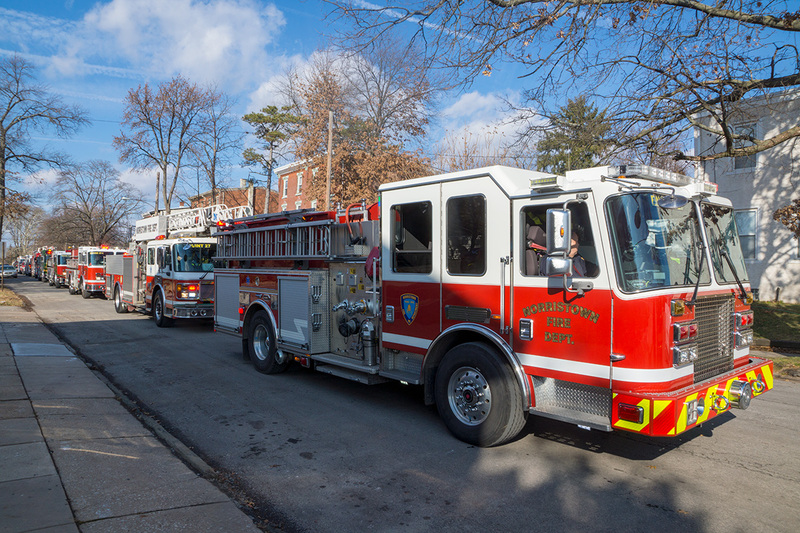 2 and Harmonville Fire Company No.1 joined the parade to celebrate Victoria. 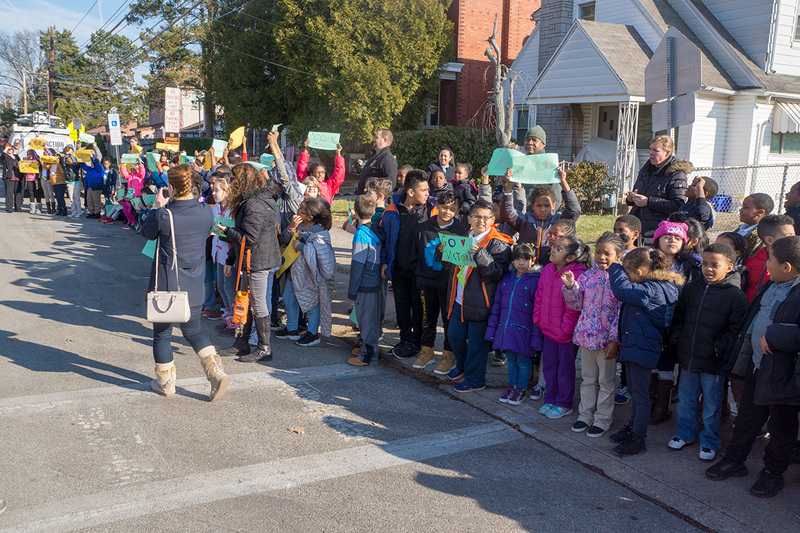 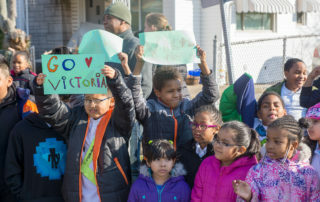 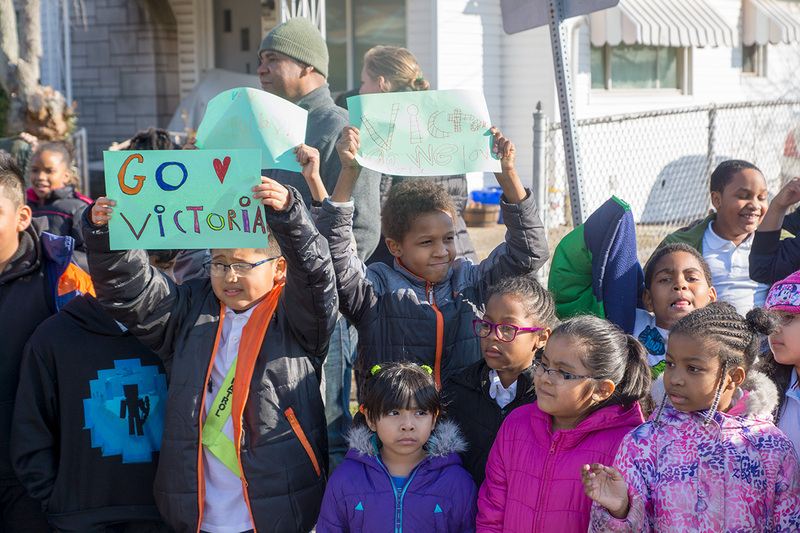 All of the students from HancockElementarySchool lined the sidewalk outside of their school with signs made just for Victoria to cheer her on and encourage her. 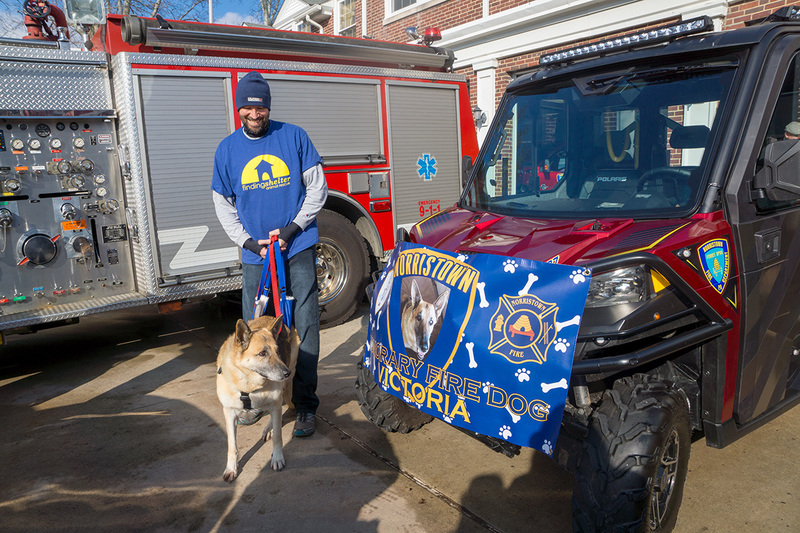 Many thanks to the amazing people in our community who care so much about Victoria and sharing her story so we can put an end to puppy mills.